Nasolabial folds, also referred to as “smile lines,” “parentheses lines,” or “laugh lines,” are the deep wrinkles or lines that extend from both sides of the nose down to the corners of the mouth. When a person smiles, nasolabial folds become more pronounced. The depth of nasolabial folds varies among individuals; however, as people age, the more pronounced and thicker the nasolabial folds become. In comparison, nasolabial folds are not present in newborns. This is due to the fact that the quantity of hyaluronic acid, a substance that gives skin its firmness and elasticity, decreases as people age. As the skin loses its firmness and elasticity, nasolabial folds become more prominent. Even though prominent nasolabial folds tend to occur in older individuals, people in their 20s may also notice them. Juvederm is a collection of injectable dermal fillers made from non-animal hyaluronic acid. It was approved by the FDA in 2006, but has been on the market in Europe and Canada since 2003. The collection includes Juvederm Hydrate, Volbella, Voluma, Ultra XC, and Ultra 4, to name a few. Juvederm comes in the form of a smooth gel, unlike some other hyaluronic acid fillers that have a granular consistency. Some Juvederm products also contain lidocaine, a local anesthetic that will help numb the area being treated in a matter of seconds. 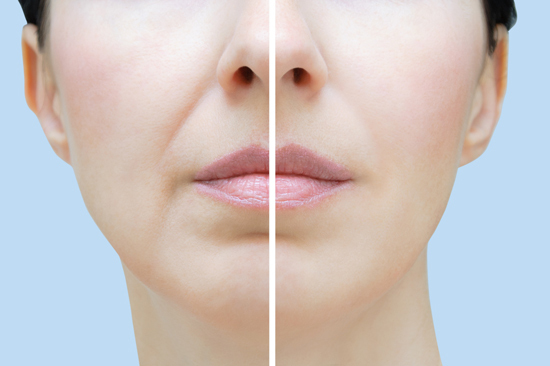 Juvederm is used to plump up the skin, smooth out lines and wrinkles and correct moderate to severe nasolabial folds. It is also used to augment the lips, correct marionette folds, and correct acne scars. 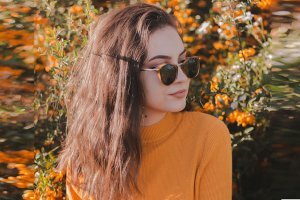 How does Juvederm help get rid of nasolabial folds? Juvederm is injected subcutaneously, where it attracts and holds moisture quite quickly. The region below the nasolabial folds swells up, adding volume to them and smoothing away the nasolabial fold wrinkles. An added benefit of Juvederm is its smooth consistency, which will leave your patient with results that appear and feel quite natural. In a multicenter, double-blind, randomized, controlled study with 87 subjects, 98% of patients treated with Juvederm Ultra Plus maintained significant correction after 24 weeks. Due to the unique consistency, Juvederm fillers allow for a more precise injection and more natural results. Patients may also find similar results with moderate nasolabial folds after being treated with Juvederm Ultra or Ultra 2. As well, patients may also consider Ultra 4 as a treatment for more severe nasolabial folds. How much Juvederm is needed for nasolabial folds? Depending on the severity of the nasolabial folds, patients may need up to 1.6ml, which was the average amount needed for correction in a recent study. How long does Juvederm last in nasolabial folds? Juvederm is biodegradable and is broken down and absorbed by the body around 12 months after treatment. In the same study mentioned, 81% of patients maintained the results for up to a year or more.3 After the filler starts to be metabolized, your patient can opt for maintenance treatments. After the initial treatment, patients typically require a less amount of filler for optimal correction. As an international brand of fillers, Juvederm is 1 of the most popular brands. Its high safety profile and long-lasting results make it an optimal treatment for superficial to severe facial wrinkles and folds.